Did you know that bats aren’t blind and bees can dance? 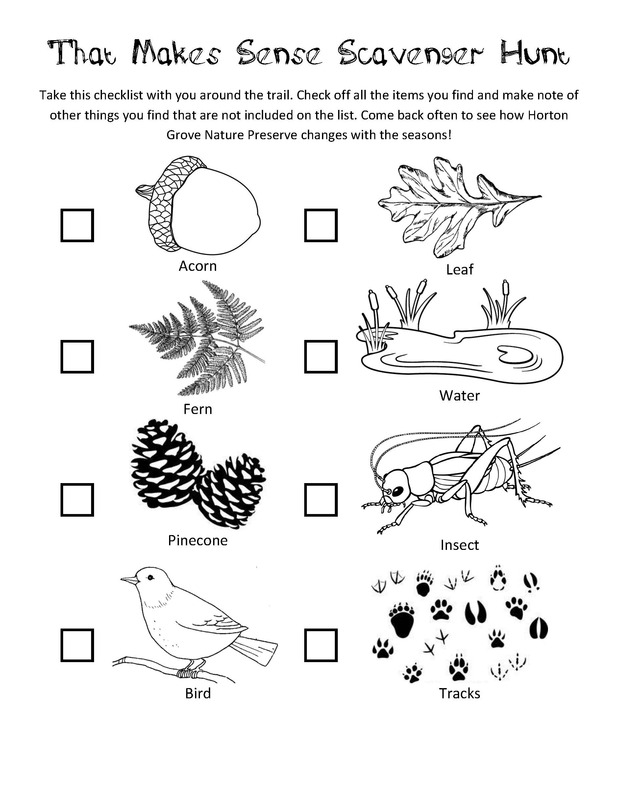 Discover how all animals, including people, use their senses to observe, navigate, and survive in the world around them by exploring the That Makes Sense Kids Interpretative Trail at TLC’s Horton Grove Nature Preserve. 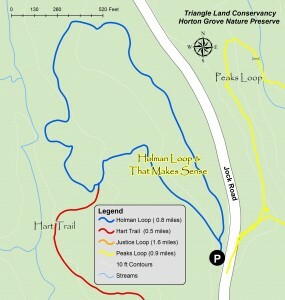 The That Makes Sense trail follows the 0.8 mile Holman Loop at Horton Grove Nature Preserve in Durham. 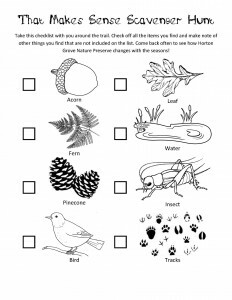 Horton Grove Nature Preserve is located at approximately 5000 Jock Road, Bahama, NC 27503. The trail can be accessed from the main parking lot on Jock Road, just behind the two kiosks. At the first trail intersection, take a right to follow the loop in a counterclockwise direction. The interpretative signs are spread out along the trail which winds through both a warm-season grassland and a forest. 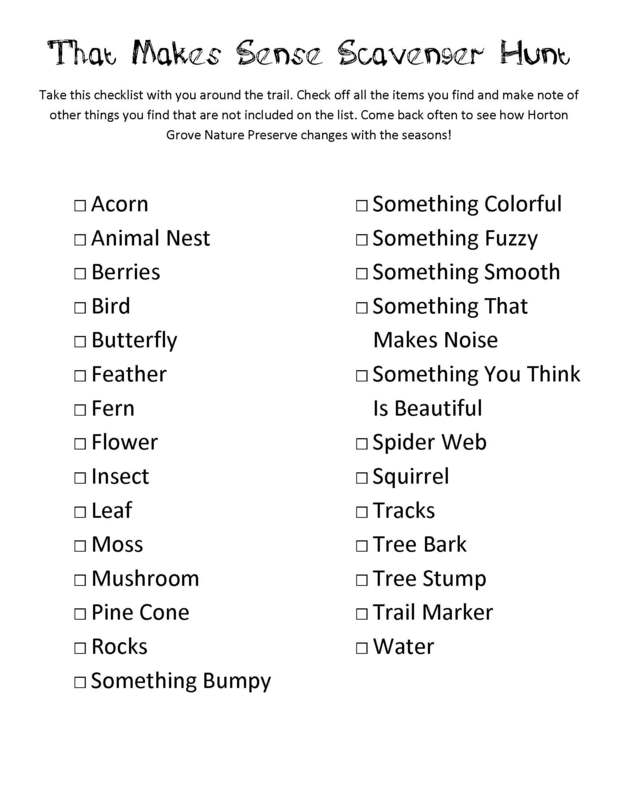 Horton Grove Nature Preserve is free for visitors and open every day of the year, dawn to dusk. As you follow the trail, each sign invites you to explore how animals use their senses to survive and how we can use our senses to better observe the world around us. 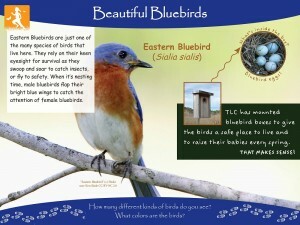 For example, the first sign explains how bluebirds use their sense of sight to find food and families. Look into the grasslands and you may be able to spot a bluebird or two since many of them call Horton Grove Nature Preserve their year-round home. Pay close attention to the bluebird boxes scattered throughout the grassland in spring and summer and you may get a glimpse of them flying to and from their nest to feed the young birds inside! Many other birds can be seen and heard in the grassland so always be on the lookout for more feathered friends. 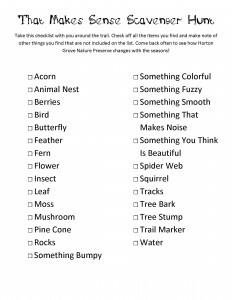 You can also engage with the trail and other trails at Horton Grove Nature Preserve and beyond by printing out our That Makes Sense Scavenger Hunt before you go. We have both picture and word versions depending upon your children’s age(s).